It's already October and I still have not finished writing about my trip to Malaysia last April ; ( I want to finish writing about this entire trip before the year ends. 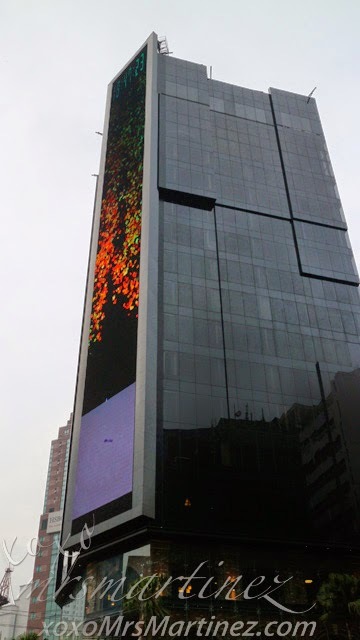 Hopefully, I can do that! Our first day was free & easy. 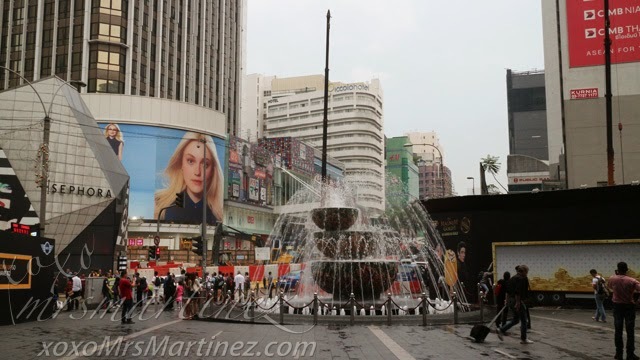 After we landed safely via Malaysian Airlines and registered with Furama Hotel, my friends and I visited the popular tourist area called Bukit Bintang. 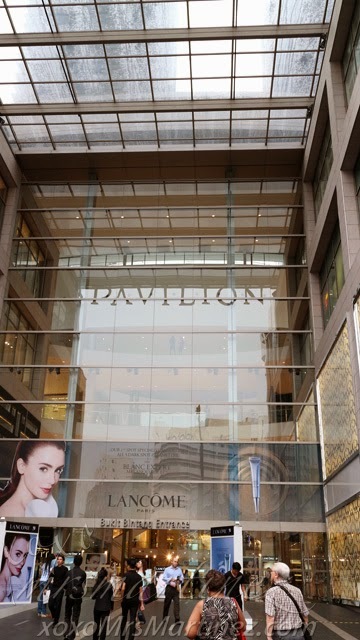 Our first stop was Pavilion Mall. You can get here by KL Monorail, by bus or by taxi. We opted for the latter, it's fast, affordable and most convenient for 3 girls. 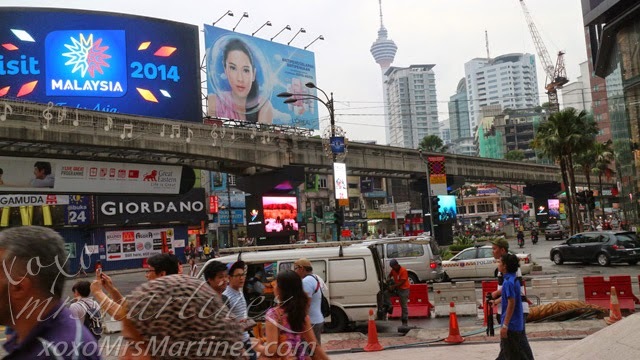 We visited Malaysia a month after Malaysian Airline flight MH370 tragedy. 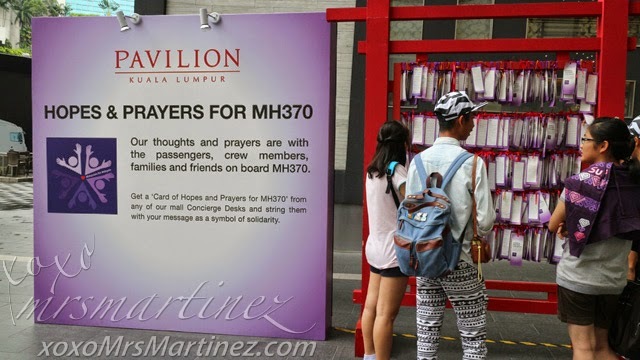 That's the "Card of Hopes and Prayers for MH370" on right side of the photo. You can get these cards from any Pavilion Mall Concierge Desks. After writing a message, you can string the card as a symbol of solidarity. 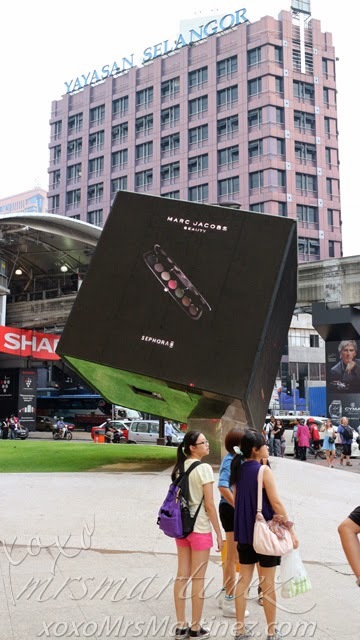 This photo (above) was taken right outside of Pavilion Bukit Bintang entrance. I spy Sephora on left, we didn't go in though. There is also a huge fountain that lights up at night. While walking, we passed by this open air restaurant called Piccolo Mondo. 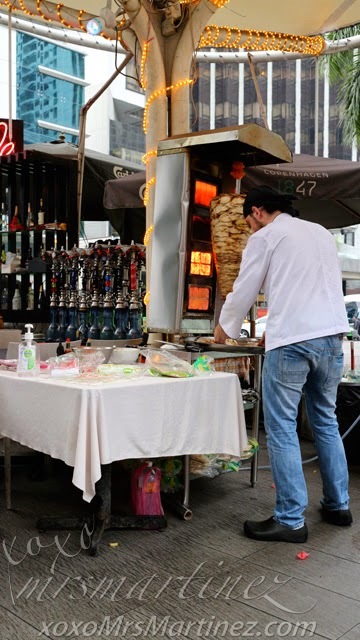 There's small stall beside it called Sultan Express that serves only shawarma sandwich and is only available for take away. We ordered one sandwich each. It was good enough to fill our hungry tummies. 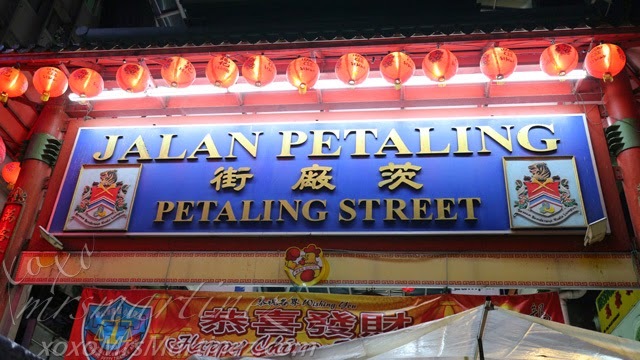 At night, we visited Jalan Petaling. 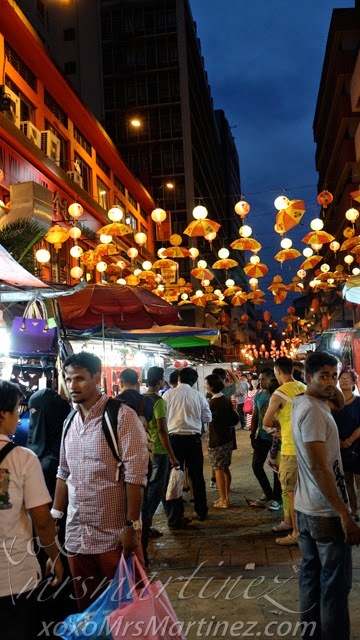 It is known as the Chinatown of Kuala Lumpur, Malaysia. 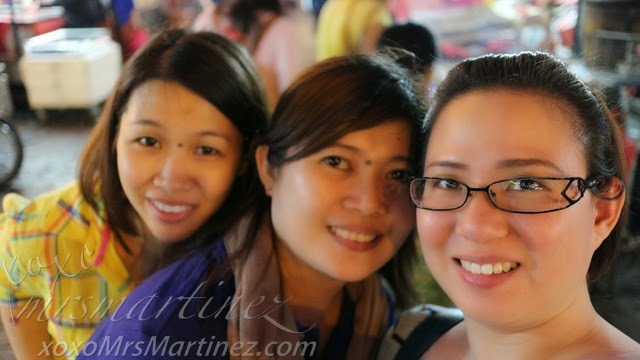 It's like our local Divisoria, Quiapo and Greenhills all rolled into one place! Our cab driver told us about a popular restaurant frequented by tourists called Restoran Dan Nasi Ayam Kam Kee. We searched for it and luckily, we were able to find it. It is a restaurant that has extended its business along the side walk ; p Read my full entry about the restaurant here. 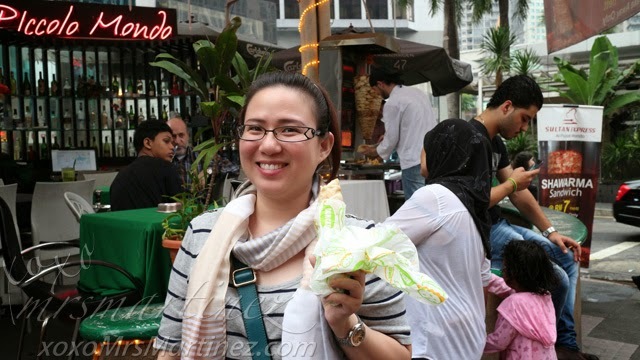 You might want to check out my entry about Kurtos Spiroll, a traditional European Chimney Cake that's a new craze in Malaysia. Well, that's about it! Day 1 over, 5 more days to go!